Discover the next evolution in entertainment. 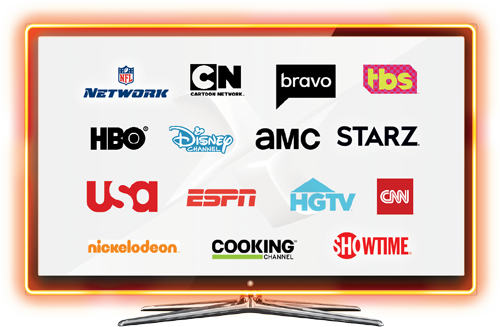 Xtream TV gives you total control of the TV programming you love. 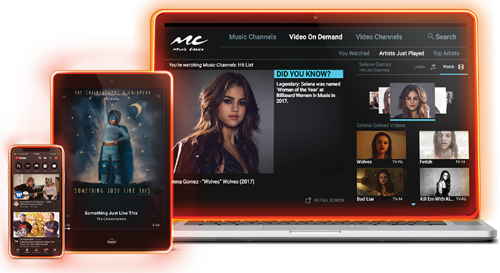 You’ll have access to an entire universe of TV shows, movies, and web streaming apps. You’ll get to watch TV the way you want to with thousands of titles FREE On Demand, TV apps on the go with TV Everywhere℠ and live TV streaming and recording with TiVo®. Plus, with the Xtream Voice activated remote – just say it and let your TV find it. Xtream TV – it’s the better TV experience. Xtream Internet is delivered on a fiber-rich, 100% gigabit technology network giving you 99.9% reliability.^ Take your latest technology to the next level with download speeds from 60 Mbps up to 1 GIG* and powerful in-home WiFi. No matter what type of Internet user you are, no matter how many devices you have, Xtream Internet has the perfect speed for you. ^99.9% Network Reliability: 2018 Mediacom Executive Summary Outage Exception Report. *Download and upload speeds may vary, see mediacomcable.com/openinternet for information on factors that could cause speeds to vary. Xtream Phone service provides you with an affordable, reliable phone option that’s there when you need it. It’s the perfect backup to your cell phone, saving you on data and providing you a great alternative should your cell battery die or you lost it in the couch cushions! You’ll get unlimited nationwide calling and over 15 calling features included such as caller ID and call waiting. Plus, you may even be able to keep your current home phone number when you switch. 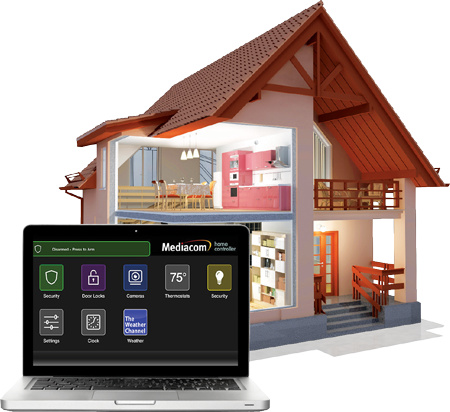 Home Controller gives you the power to secure and control your home from virtually anywhere. "You can rest assured knowing your home will be monitored 24/7, 365 days a year by a UL-certified central monitoring station. Plus, relax on vacation knowing you can lock your doors right from your phone or make sure the thermostat is turned down. There’s nothing better than having peace-of-mind knowing your home and family are safe and sound.